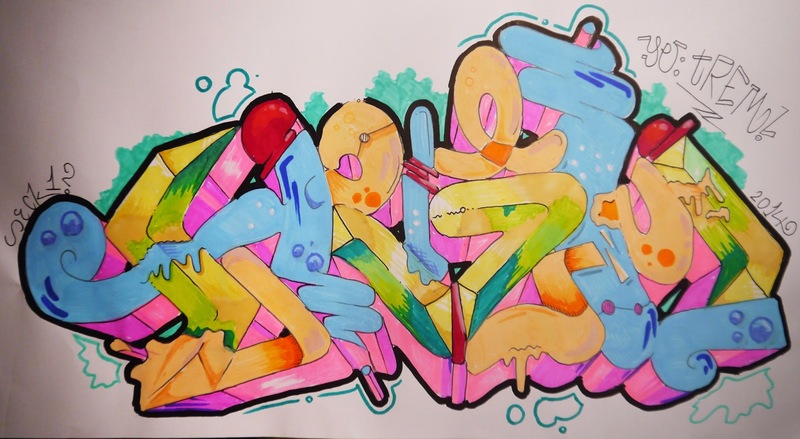 Just a new blackbook piece I did last evening. Nothing new besides the letter combination.. Colours are mostly pastel. Trem will make his 'Seck' sketch this weekend, stay up for more! EDIT: Trem's sketch added now!